TR Knowledge Areas: Foundation Knowledge: Theories of human behavior and change. Practice of Therapeutic Recreation/ Recreation Therapy: modality: communication skills, assertiveness skills, positive thinking, and coping skills to manage emotions. Course Objective: Independent self-study learner will demonstrate an awareness of using emotional intelligence in rec. therapy practice as evidenced by reading Gill Hasson’s (2014) Emotional Intelligence: Managing Emotions to make a Positive Impact on Your Life and Career and passing an online written exam with a score of 70% or better. Unlimited time to complete your course. Discounted Price (and FREE book) offer ends at midnight on Sat. August 11th. Sign-up today while it is fresh on your mind. You’ll have lifetime access to this course! Bonus: Your required book will be shipped to you for FREE ($20 Value)Click here to sign-up at discounted price! 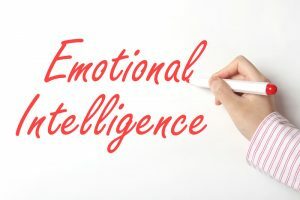 [Emotional Ingelligence] EI webinar came with practical advice and real life examples. very helpful and easy to follow.